OH Kerala! 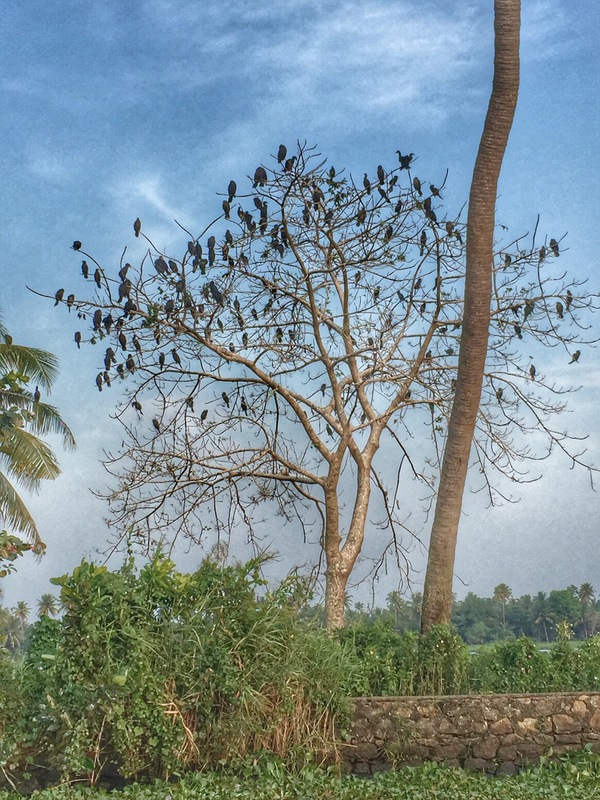 For the Christmas weekend, I was lucky enough to visit Kerala. 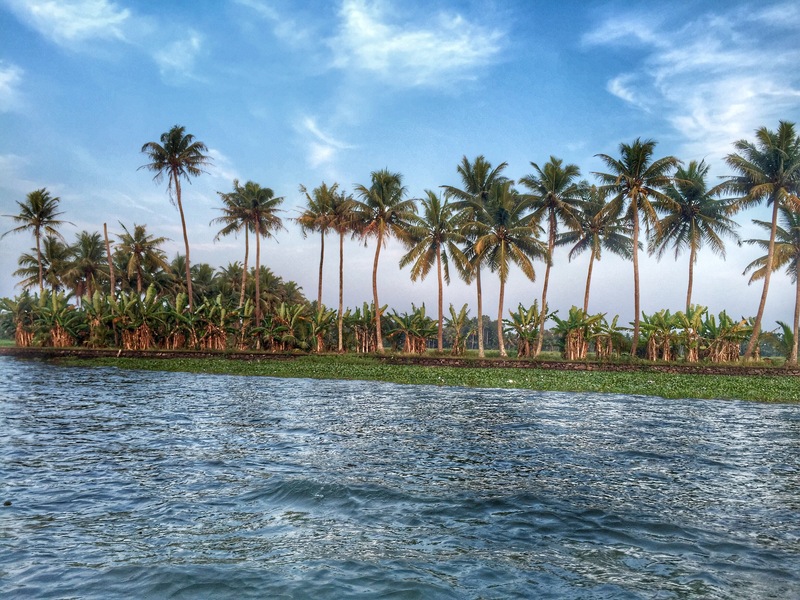 Kerala has some of the most beautiful tropical greenery surrounded by the backwaters. You feel completely immerse with the nature with palm trees and the waterway in the background. Getting to Kerala involves taking an overnight bus that took 10 hours and arriving at Vyttila Junction. For the first night, we were based in Kumarakom which was around an hour car ride from Vyttila Junction. Kumarakom was a charming getaway boasting a tropical scenery with the backwaters and the rice paddies in the background. 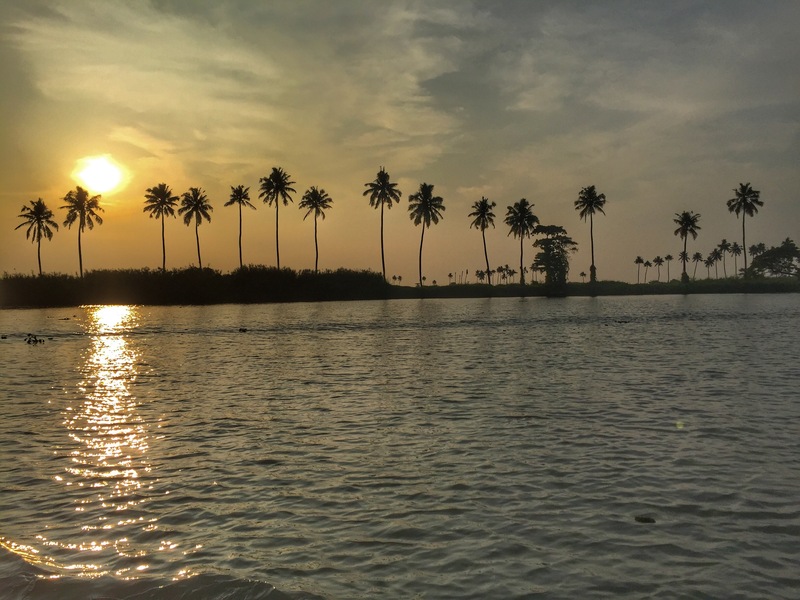 The atmosphere of Kumarakom makes you feel extremely relax while being in a partially isolated area, making you forget the hustle of Bangalore. The first day in Kerala involves hiring a private boat and exploring the backwater of Kerala. 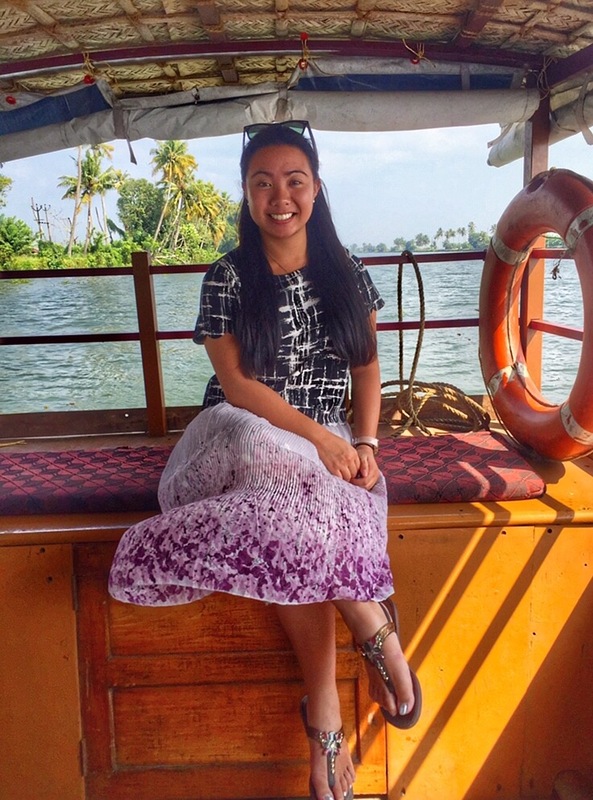 It is a perfect way to unwind after Christmas as you get to chill on the boat and observed the beautiful rice paddies, birds and the tropical forest in the background. We hired the boat for six hours and besides exploring Kerala, we also played card games, had good long chats, nap several times and manage to watch the sunset! Our accommodation was a “home stay” nestle between the backwater and the forest. It had a lovely porch with a cozy outdoor setting looking towards the forest, where we spent all night drinking chai, playing card games, getting to know each other and why we came to India for our internship. 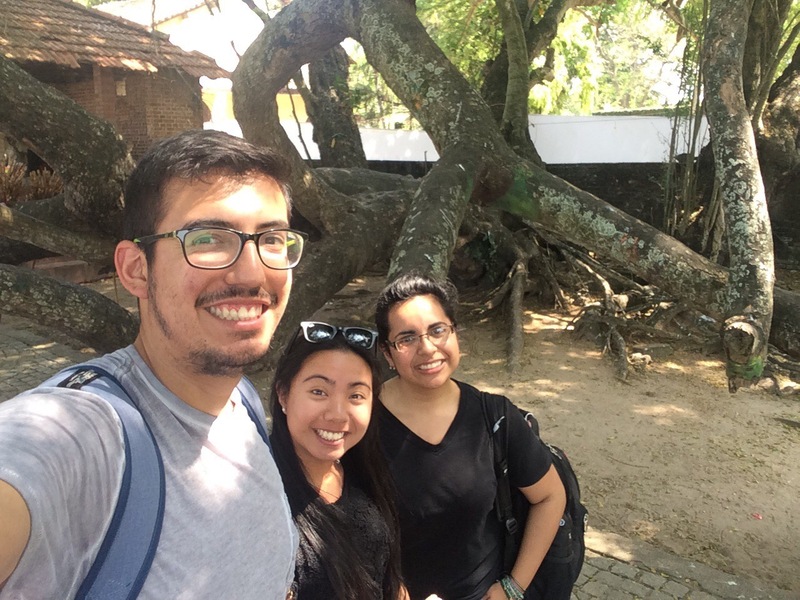 The second day in Kerala was spent in the city of Kochin. Kochin was known as the center of Indian spice trade from the 14th century and also known as the Queen of the Arabian Sea. The city is situated along the coast and it is known for its Chinese fishing nets along the coast. Being a coastal city it was tremendously nice to finally have seafood in India and it boasts some of the freshest seafood. The city has a lively but a calm vibe and surprisingly instead of seeing cows everywhere, goats are scattered around the city. One of my best find of Kochin was the “Pepper House Café”. The café was outside in a gorgeous courtyard with the coastline in front. Perpper House also has a boutique with modern handmade design ranging from clothing to books and furniture. On the other side of the building, it has a library concept with books consisting of design, ranging from fashion to architecture. You can take your time reading the books inside or you can bring it outside to the café in the beautiful courtyard to relax.